PSU Library Special Collections & University Archives is pleased to invite the PSU community, alumni, and the public to an Open House on Friday, October 24, from 2-5pm, in Library 180. See highlights of PSU history and rare treasures from our collections, including Medieval manuscripts, our Galileo manuscript, and Salvador Dali’s illustrations for a 1969 edition of Alice in Wonderland. This Open House is part of Portland State of Mind. 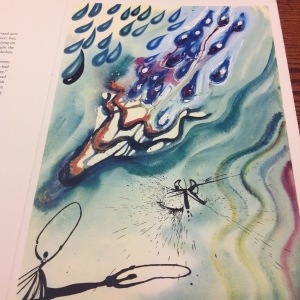 Below, on the left, an illustration by Salvador Dali in his 1969 edition of Alice’s Adventure in Wonderland. 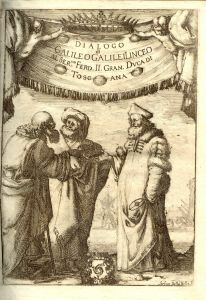 On the right, a woodcut from the Dialogo di Galileo Galilei manuscript. Both items are held by PSU Library Special Collections and will be on display at the Open House.